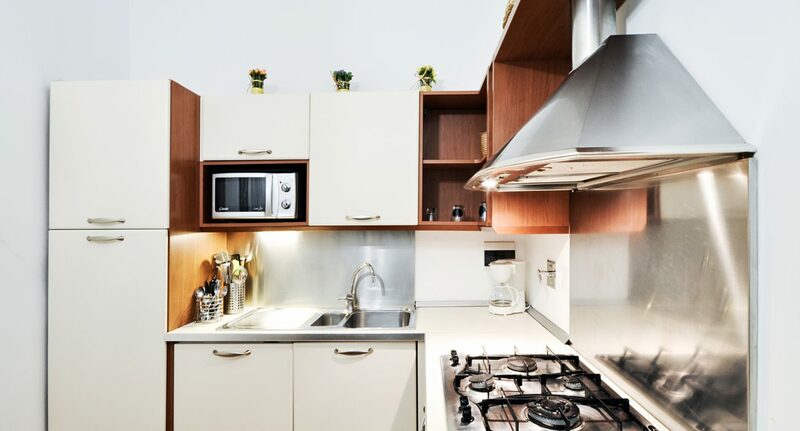 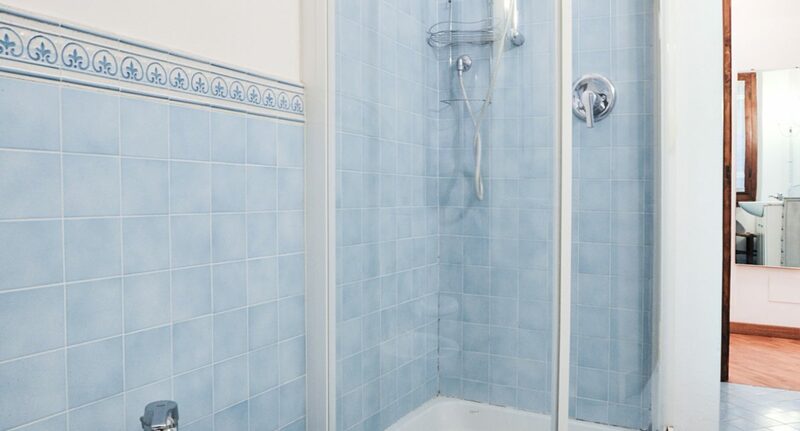 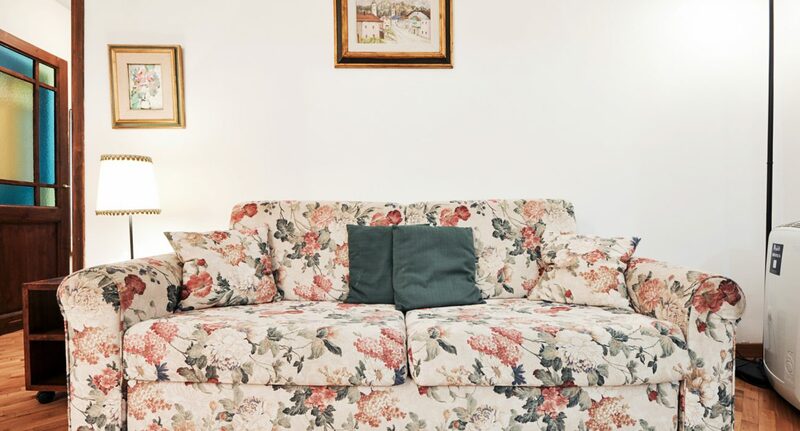 The apartment has nice hardwood floors and offers a full range of amenities, including free high-speed WiFi and a new air conditioning system, in addition to washing machine, toaster oven, microwave, kettle, iron and ironing board, hairdryer, etc. 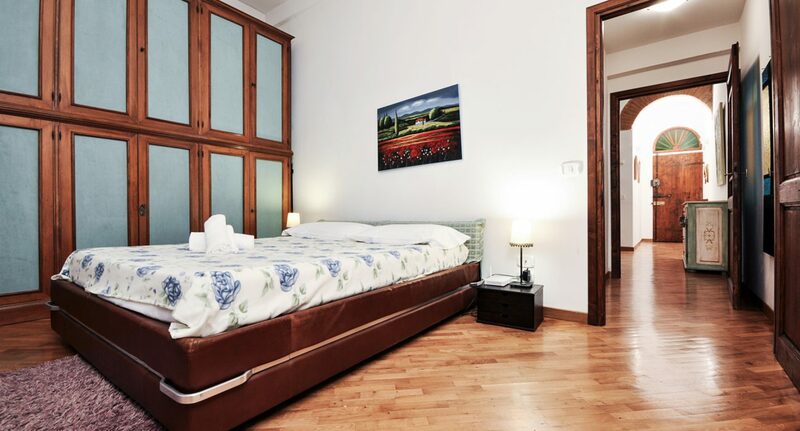 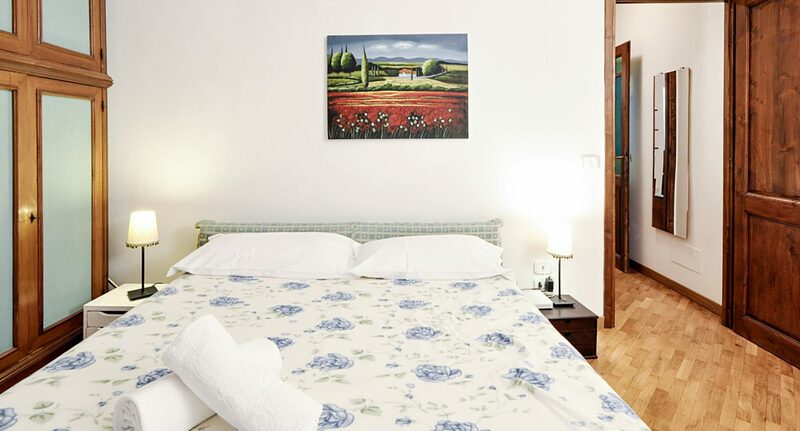 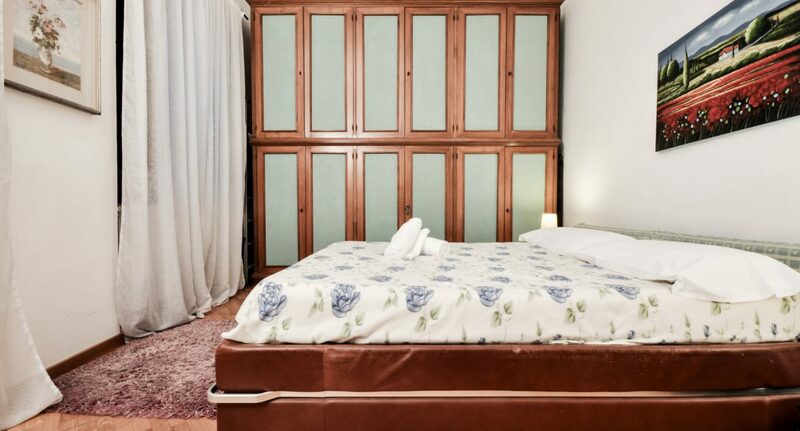 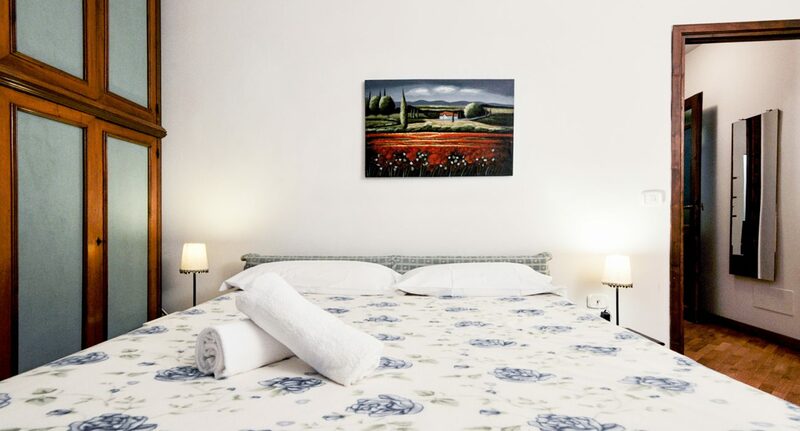 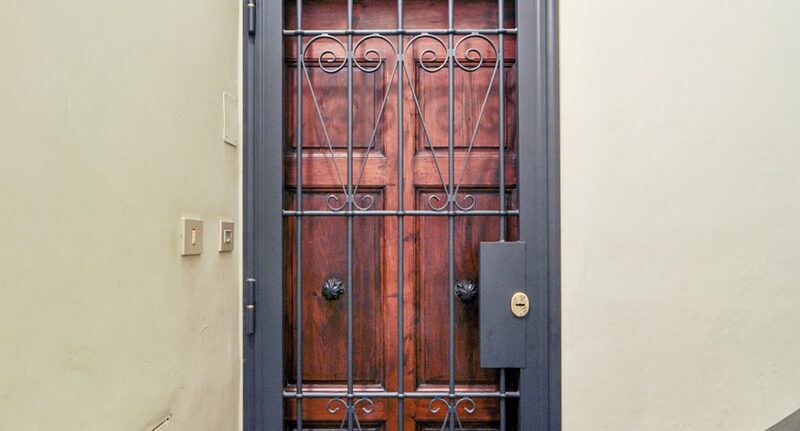 With its amazing location right behind Palazzo Vecchio, this welcoming and comfortable accommodation is the perfect place to immerse yourself in Florence’s history, and explore this fairy tale city without ever needing buses or taxis. 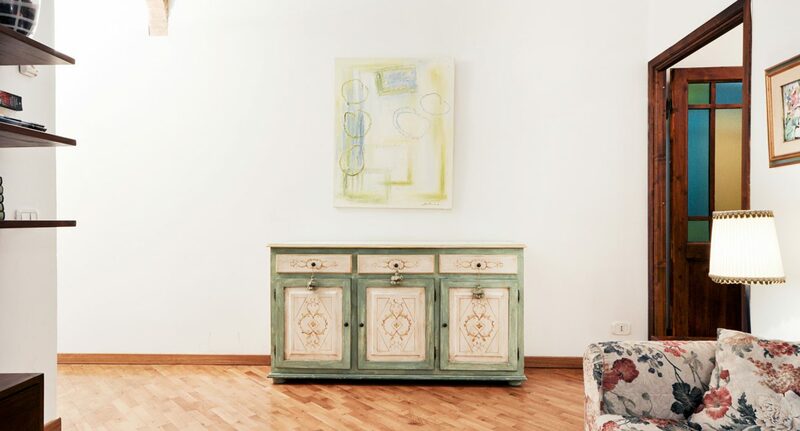 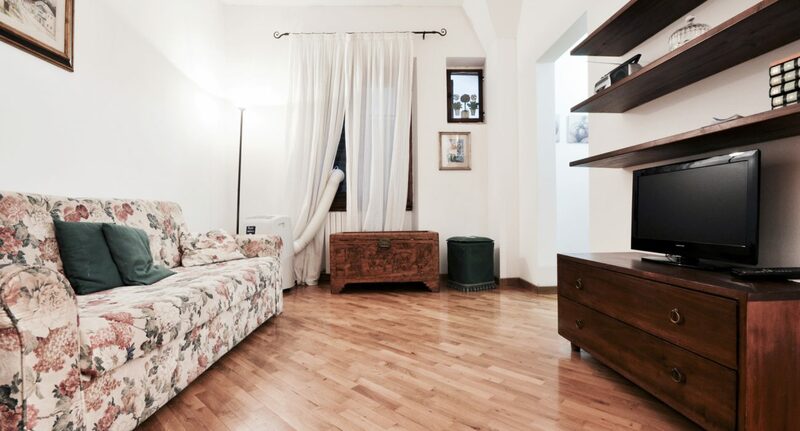 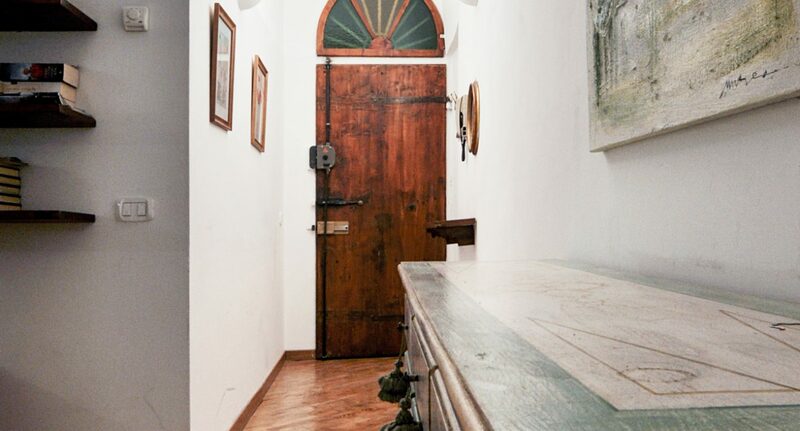 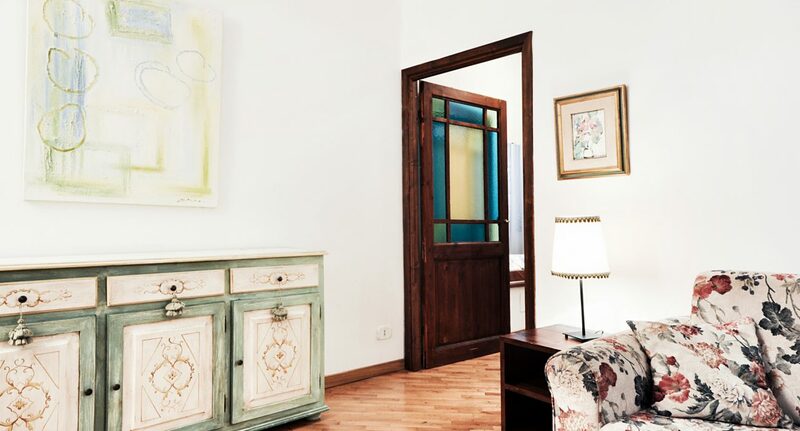 The apartment is on the 2nd floor of an ancient building in Via del Corno, a picturesque medieval alley in the most coveted area of the historic center. 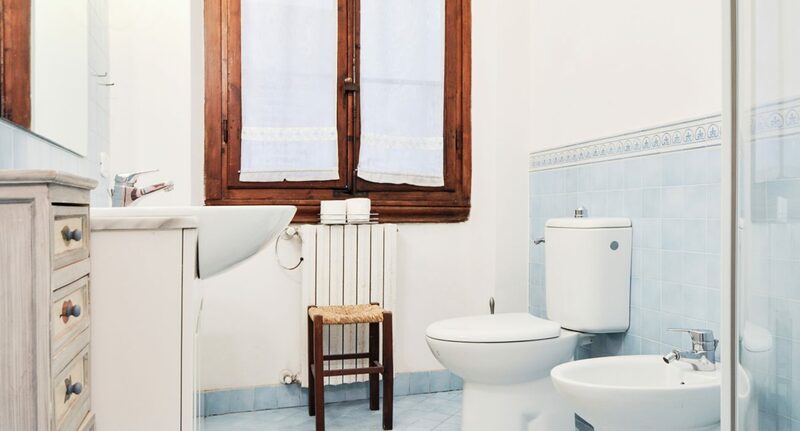 You will be literally just steps away from the Ponte Vecchio, the Uffizi Gallery and Piazza Signoria, but also from the vibrant Santa Croce neighborhood and its many bars, pubs and cafes. 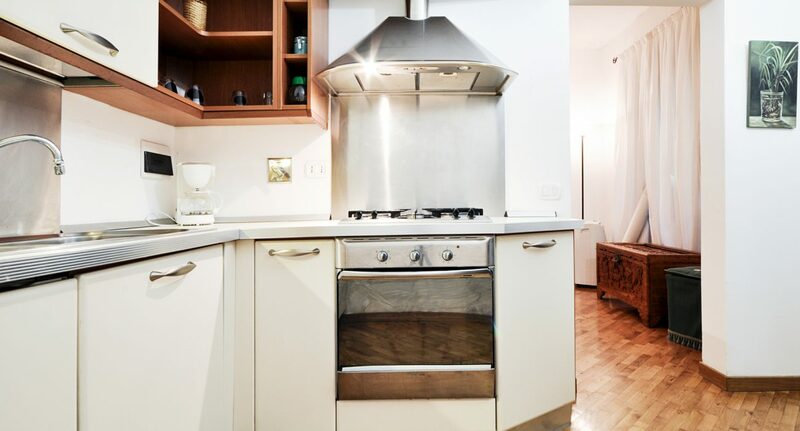 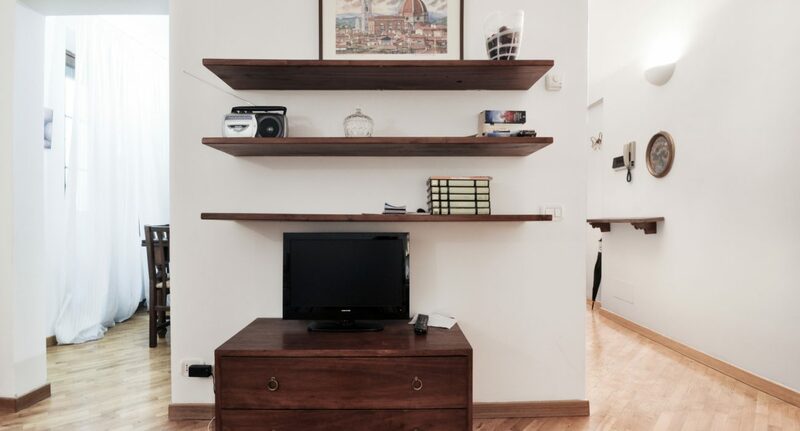 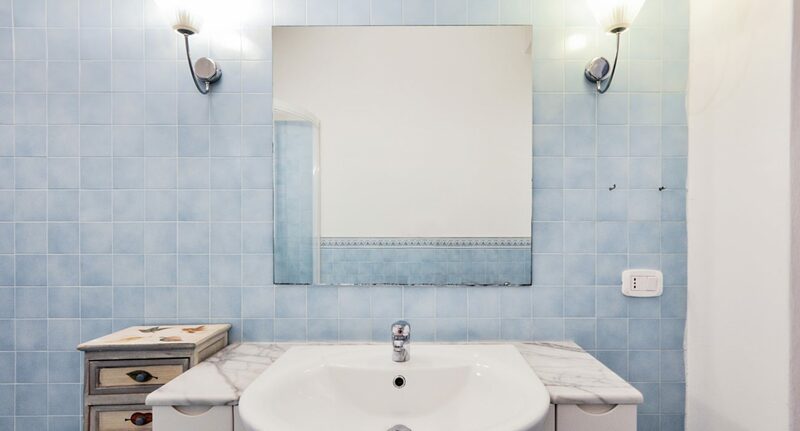 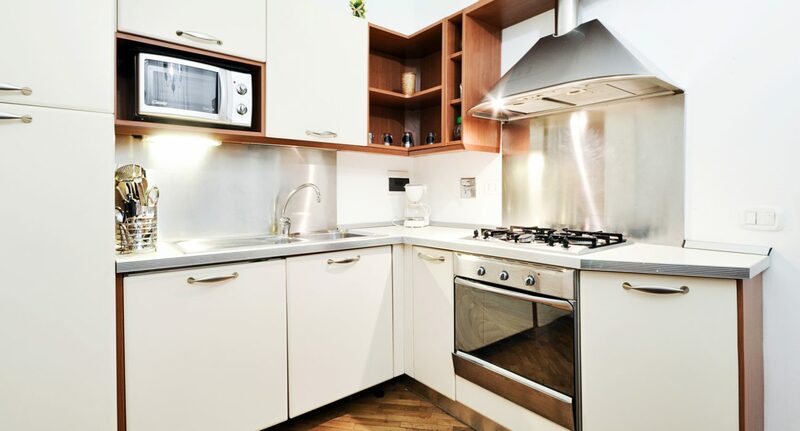 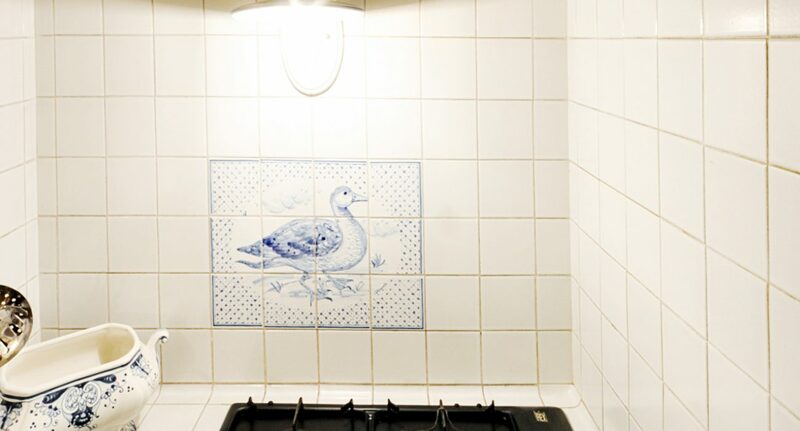 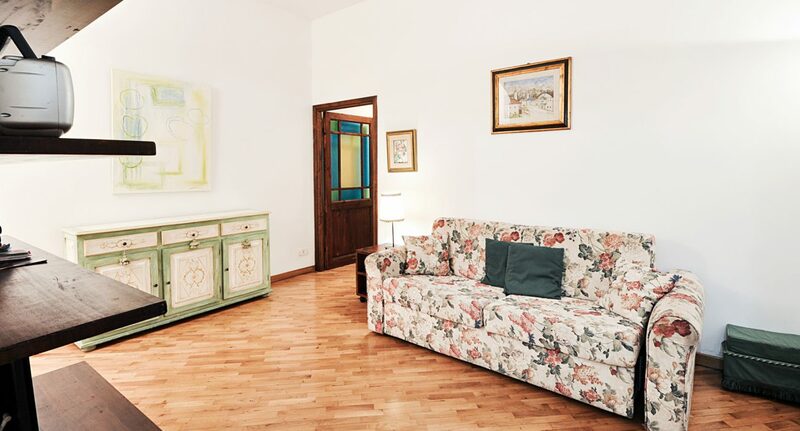 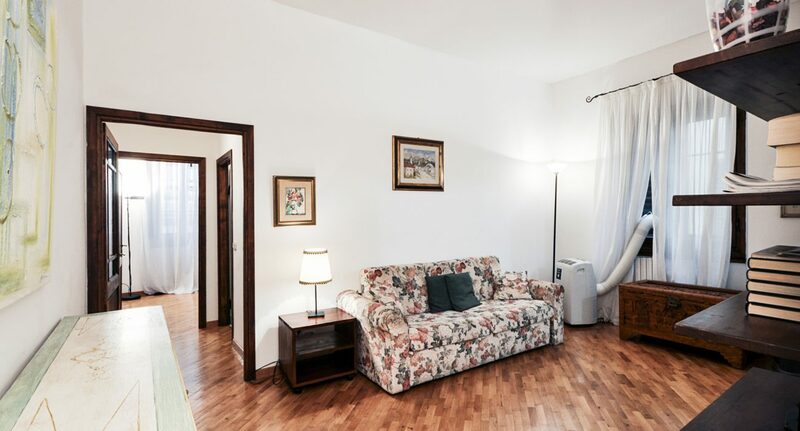 The apartment’s fantastic location – literally at the center of the historic center – means that every single one of the city’s attraction, from the Duomo to Pitti Palace, is comfortably reachable with a short, pleasant walk. 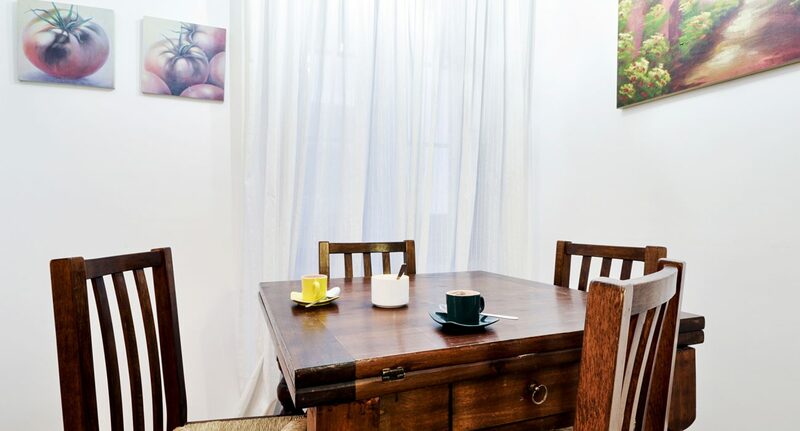 The area offers endless dining, shopping and entertainment options, from rustic trattorias to Michelin-starred restaurants, and from small artisan shops to the high-end boutiques of the world’s most famous brands.